The combination of text, visuals, and subject matter offers high appeal for middle elementary grade readers. Readers who enjoy head-to-head and other matchup-style books will find this set intriguing. A good choice to increase interest in STEM topics or for reports on inventions/inventors. Because of interconnections noted in the volumes, collections needing to update or supplement materials on body systems should consider purchasing the entire set. Perfect for outer space enthusiasts and out of this world for report writers. Excellent discussions of some of physics' underlying principles, for serious younger students. The physical science topics of sound, light, force, motion, and states of matter are explained through their applications in contexts with broader appeal (Glaciers and Stars are about matter more than their title phenomena). The textbooklike prose, accompanied by stock photographs, detailed diagrams, and well-aligned activities, emphasizes key vocabulary words. Although aimed at elementary-school readers, the concepts are much more advanced. Glos., ind. 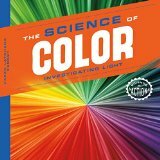 Review covers these Checkerboard Library: Science in Action titles: The Science of Color, The Science of Glaciers, The Science of Music, The Science of Race Cars, The Science of Roller Coasters, and The Science of Stars. These offerings promote a healthy glow. These introductions to proper hygiene and grooming also offer recipes for DIY treatments (such as hair masks, skin toner, and foot scrubs) as well as instructions for hairstyles, makeup application, and nail-art manicures. The friendly texts encourage regular maintenance, creativity, and having fun, while the girly, pastel-colored layouts feature illustrations of girls with both light and dark skin. Reading list, websites. Glos., ind. 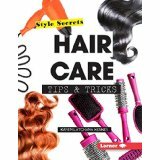 Review covers these Style Secrets titles: Nail Care Tips & Tricks, Hair Care Tips and & Tricks, and Skin Care & Makeup Tips & Tricks.